Lemon balm is a healing plant, known long ago due to amazing health benefits. It can improve our mood, soothe our nervous system, and elevate a sense of joy and happiness. Because of that, lemon balm has long been used as the remedy for people who suffer from anxiety and depression. Not only that this plant acts like the antidepressant, but it can also improve our memory. Studies have shown that people express better problem-solving skills after taking lemon balm. Moreover, this miraculous plant protects our brain and fight free radicals that can be dangerous for our brain health. It is also widely known for its heart healing properties. Namely, Melissa or lemon balm can lower high blood pressure and keep it optimal. Among its numerous health benefits, antioxidant effects are huge. That is why lemon balm can soothe inflammation processes in our body and act like detoxifier. Many studies have shown its detoxifying properties and its beneficial effects on the liver. 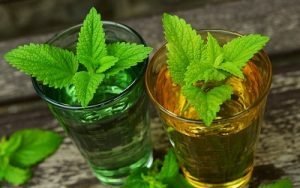 To learn more about the amazing health benefits of lemon balm, the article “https://draxe.com/melissa-essential-oil/” gives us the following list. Even though lemon balm shows amazing health benefits, medical experts advise us not using it for a longer period of time. They recommend using it up to six weeks and then, make a pause. People who are sensitive can experience some of the side effects such as dizziness and gastrointestinal problems. But, it is rare. People with allergic reaction should use it wisely. They may start with a small amount and gradually increase the dose. In any case, health benefits of lemon balm largely outweigh its side effects. It is usually safe when taken in food amounts.